This book was recommended to me by my friend (Hi friend!) who read my review of A Man Called Ove and said it reminded her of this book. Although both books are about an old man and are written by Swedish authors that’s about as similar as they get. Make sure you’ve checked out Part 1 of the Glasgow Cathedral. This is part 2! At first I wasn’t going to write about this book because I have some mixed feelings but then I though maybe I should write about it since I have these mixed feelings. Anyway, here it goes. First off, I should be clear that this is a good book. It was well written and gripping. I read it in less than 24 hrs. 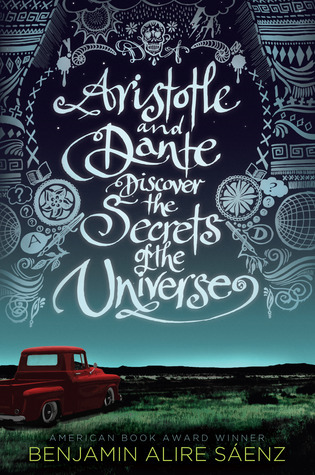 It’s about two guys (Aristotle and Dante) who become friends. They are both misfits and don’t really have other friends but other than that they aren’t very similar. Also they are Mexican-American which isn’t something I usually find in books.